Understanding of engineering plastic products and processing, converting techniques and market applications. Profound knowledge about plastics and their production processes. Electrical & Electronics Market knowledge and understanding. Ability to analyze a market segment and derive from that segment oriented developments and insights. Knowledge of Key Account Management tools and Sales/marketing concepts and tools. Legal, administrative and financial knowledge. 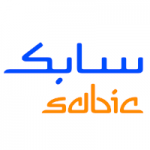 For more information about this role you can contact Laura Deckers, Corporate Recruiter, via laura.deckers@sabic.com. Important notice: please be informed that a reference check, an employment verification and E-assessment is be part of our recruitment process. A Certificate of Good Conduct can be requested depending the level of the role in our organization and/or function, allowing us to request depending on local regulations.Responses from employment agencies will not be considered.